Insider rumors have been saying that Activision Blizzard is getting ready lay off hundreds of employees and unfortunately, these rumors have been proven to be true. Activision Blizzard informed the media today that it will be cutting 8% of its staff. Considering that the company had around 9,600 employees in 2018, the number of people left without a job is 800. The media breakout about the layoffs started just after Activision Blizzard CEO Bobby Kotick released the earnings call for 2018. “While our financial results for 2018 were the best in our history, we didn’t realize our full potential. To help us reach our full potential, we have made a number of important leadership changes. These changes should enable us to achieve the many opportunities our industry affords us, especially with our powerful owned franchises, our strong commercial capabilities, our direct digital connections to hundreds of millions of players, and our extraordinarily talented employees,” said Bobby Kotick in the earnings call that was released earlier today. As you can probably imagine, the news of 800 of Activision Blizzard developers being left without a job has not been well received in Activision Blizzard’s headquarters and J. Allen Brack who is the President of Blizzard decided to send out a memo to all other staff members informing them of what just happened. “Over the last few years, many of our non-development teams expanded to support various needs. Current staffing levels on some teams are out of proportion with our current release slate. This means we need to scale down some areas of our organization. I’m sorry to share that we will be parting ways with some of our colleagues in the U.S. today. In our regional offices, we anticipate similar evaluations, subject to local requirement,” said J. Allen Brack. We should mention that the folks at Kotaku were the ones who managed to get their hands on the memo. Not only that, but that J. Allen Brack also mentioned that all of the 800 staff members who are now without a job will receive a “comprehensive package” alongside career coaching, job placement assistance and continued health benefits. “There’s no way to make this transition easy for impacted employees, but we are doing what we can to support our colleagues,” added the Blizzard President. The shocking part about this massive layoff is that Activision Blizzard CEO Bobby Kotick started his earnings call report by saying that the company “once again achieved record results in 2018”. This means that even though popular games such as World of Warcraft and Overwatch have generated millions in profits for the company, Blizzard Activision still felt like it needed to let go of 800 staff members. From the looks of it, breaking earnings records is not enough for Activision Blizzard. We should mention that Blizzard Activision has made it clear that the employees it has fired are from “non-game-development departments”. 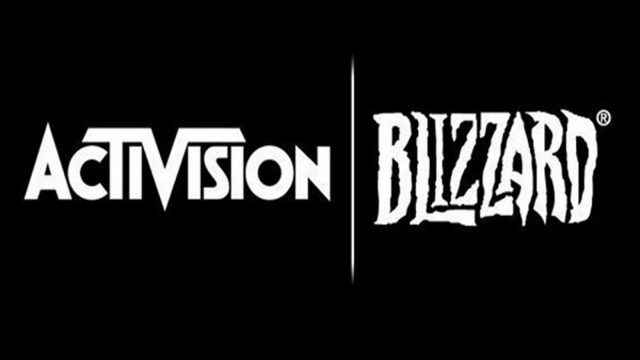 Blizzard Activision promised that the remaining employees will focus on developing exciting new projects such as the new Call of Duty and the infamous Diablo Immortal. The public perception of Blizzard turned to worse during last year’s Blizzcon event when Blizzard announced that instead of creating a new Diablo title for PC they will focus on creating a mobile version of the game. This angered Blizzard fans and they nearly rioted during the event. Blizzard has forgotten that its fan base are PC players and Diablo Immortal clearly shows that Activision is the one calling the shots lately.